In an ironic set of circumstances, the Australian property market has grown out of the reach of many ordinary Australians. Median-priced houses in the blue-chip suburbs favoured by investors in our biggest cities are now routinely listed at seven-figure asking prices. It would take the borrowing power of two seriously high-paid loan applicants just to be able to service the loan. And that’s assuming you have access to the $100,000-plus cash deposit to get into the market in the first place! This depressing state of affairs has led many Aussie investors to look further afield in their quest to become landlords. They’re looking intrastate, interstate – and, increasingly, overseas. A new national survey shows that Australians fed up with skyrocketing property prices at home are turning their sights overseas, with half of the 1,000 respondents to the survey confirming they would invest in foreign countries if the numbers stacked up. The research, commissioned by international money transfers site WorldFirst and carried out by an independent firm, revealed that of the 50% who said they would consider overseas investment, 61% said it was because property prices were too high at home. The top five destinations for international property-related money transfers from Australia in 2017 were the United States, New Zealand, the United Kingdom, France and Thailand, according to WorldFirst. “Sydney’s housing market is the second least affordable in the world, behind Hong Kong, and local wage growth has been stagnant – so it’s no wonder half of Aussies think prices are too high,” says Patrick Liddy, head of foreign exchange at WordFirst. “You can probably get moresite WorldFirst and carried out by an independent firm, revealed that of the 50% who said they would consider overseas investment, 61% said it was because property prices were too high at home. “You can probably get more bang for your buck purchasing a ski lodge in Japan, a bach in New Zealand or a chateau in France, but it’s important to make the right financial decisions when buying an often-expensive property asset overseas. Liddy touches on an important point here: when you begin dabbling in international property markets, you need to keep as close an eye on international currencies as you would on capital growth trends and vacancy rates. But just how complicated is it? Can Aussies easily invest overseas – what are the risks, and what kinds of profits are up for grabs? For the same amount of money required for a deposit on an Australian property purchase, you can buy an entire house in the United States. Investing in America has never been more affordable. If there is one thing America has going for it from an investment standpoint, it’s affordability. The United States is a land of extremes, which means it’s the type of place where the major cities abound with multimilliondollar abodes – and the smaller towns offer up real estate with change from $80,000. These opportunities may be cheap. But does that necessarily mean they have the fundamentals of prudent investments? According to buyer’s agent Todd Hunter, who has been investing in the US for the last few years, the answer is wholeheartedly yes. “Our first location that we invested in was Detroit, Michigan. I started buying there in late 2011 and houses were priced between US$40,000 and US$60,000, with rents of US$220 plus per week – that’s a yield of over 20%,” Hunter says. “We have experienced over 10% capital growth for the past three years straight in this market, with no signs of slowing. In fact, in the six years I have owned property there myself, two of my own properties have doubled in value. Many investors are anxious about parking their hard-earned dollars in a property that is so far from home, which is a consideration Hunter can empathise with. Having been active in the market for half a dozen years, he says he’s learnt a thing or two to help minimise risks and maximise returns on an international property. “Property management anywhere, overseas or even in Australia, is a challenge. The trick with the US is knowing what questions to ask, as they operate in a very different way to Australia,” he says. “This was initially a trial-anderror situation for me, and we are still always learning. That said, we have great property managers in each city, but we did have to change firms … in the early days. They promised one thing and delivered another. Now we have redesigned our interview questions when interviewing a property manager.” For instance, when Hunter is speaking to a potential property manager he is considering engaging on behalf of his clients, he asks them about their specific processes and procedures around rent collection, tenancy references and chasing up rental arrears. “They now must detail specific key procedures in their business so we know they can look after us all effectively,” he says. “For those investors who want to invest in the US on their own, they will find this part of the process challenging. Be prepared to get up early to make the phone calls. 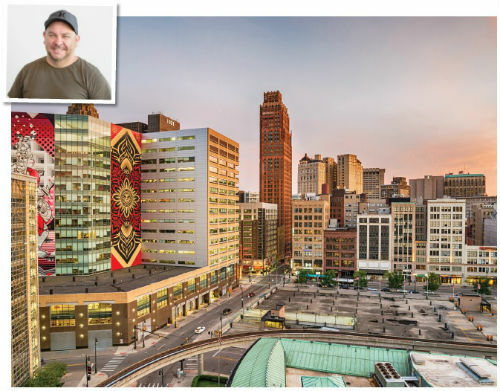 I’m happy to say, I think we’ve mastered it now.” Though Hunter has moved on from the Detroit market now, he is currently directing his clients towards property markets that offer similar returns and entry points. “Since we finished investing in Detroit, we’ve invested in Columbus and Cleveland, and both are duplicating what Detroit did. So now we are investing in two new cities. I never disclose exactly where I am currently buying, as I like to keep all the awesome deals for me and my clients, and by disclosing where I am investing, I would be creating more competition for the same deals I am trying to buy!” Hunter says. “Like I always say, market timing is everything. That means you buy when others don’t and sell in the peak, if selling is part of your game plan. Employment is another key to researching the US. Big business in the US can mean thousands of jobs in one announcement, which can change a city overnight. I also look for cities that are gentrifying and where I can still buy massive bargains. For Hunter, the risks of investing so far from home pale in comparison to the risks of buying in Australia right now. 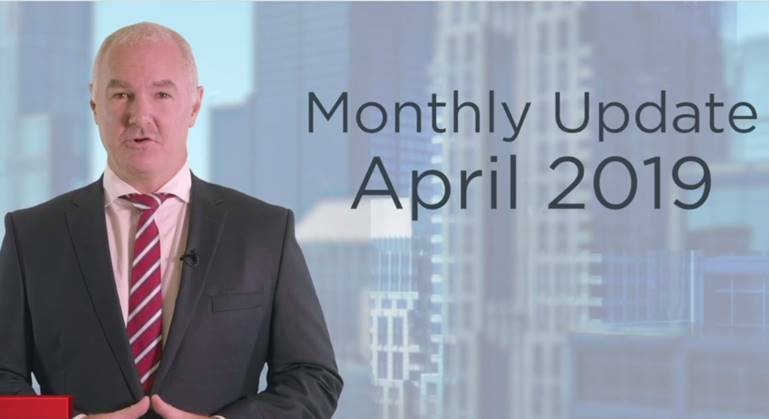 “When I compare the risks of currently investing in Australia versus the United States, I actually see Australia as the much riskier market,” Hunter says. “The reason being that interest rates have been too low for too long and, as a result, many property markets have been falsely inflated. With such a bleak outlook on property in Australia, Hunter believes the opportunities on offer in the States are far more appealing. “With the US economy currently booming and a population of over 330 million, it means there are some fantastic opportunities. For the same amount of money required for a deposit on an Australian property, around $130k or less, you can buy the whole house in the US, and get yields over 20%,” he says. Peter Koulizos, who is chairman of Property Investment Professionals of Australia and lectures on property investment at TAFE SA, UniSA Business School and Property Planning Australia, agrees that if you are seriously interested in buying overseas, then a visit to that location should be on the cards. “I would highly recommend that you first visit the location you wish to buy in and conduct your own due diligence,” Koulizos says. “There are 200-plus countries and you could buy property in many of them. The majority of nations have rules on foreign property ownership. One consideration when investing in overseas property is your tax obligations. Ines Zemelman, founder and president of Taxes For Expats, confirms that if an Australian buys an investment property in the US, they will need to prepare a US tax return. “They may also need to file a US state tax return, unless the property is located in a tax-free state, such as Texas,” Zemelman says. 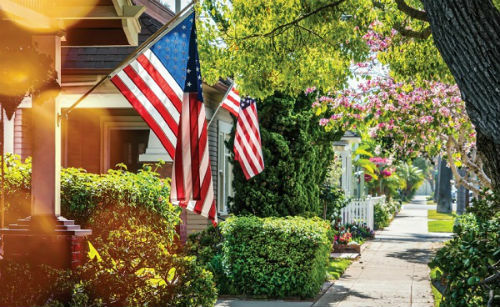 If a non-US person has rental property in the US, the requisite income or loss should be reported in the US on Form 1040NR, as well as a possible state tax return. Filing is required even if the rental activity generates a net loss – which ideally won’t be your experience! “This is the IRS requirement. Moreover, it is in the best interests of the property owner to file a tax return here, as all accumulated losses – if any – will be deducted from sales proceeds upon eventual sale of the property. Without annual reporting, these losses cannot be recovered.” Zemelman notes that if for any reason your property is idle, with no rental activity, then reporting is not required. - Show me the money: Keen to tap into these affordable, high-yield markets? Here comes the catch: to buy into the US property market, you must be in a position to purchase in cash. - Plus the extras: You must have access to funds to cover the full purchase price plus associated costs such as legal fees and any renovation or refurbishment expenses. - While it is preferred that the buyer is present at closing, they don’t need to be in the country at all if they don’t want to be. “They can use a power of attorney authorising their attorney or another representative to sign on their behalf,” Mekhtiyev says. - Another option for foreign buyers is to buy in the name of a corporation instead of an individual. “Many foreign buyers prefer this due to anonymity and the ability to deduct expenses associated with the upkeep of the property from annual taxes,” he says. “For tax years 2017 and on, recent tax reform measures have increased oversight on foreign owners of US LLCs, which may create additional filing requirements and disclosure of natural foreign owners of US properties,” he adds. In terms of costs, you should be budgeting for around US$550, though this does become more cost-effective for owners of multiple properties. “Form 1040NR costs $450 and a state return is $100, and we include one rental property in the price, with each additional property costing an extra $100. Our standard turnaround time is 15 business days,” Zemelman says. Of course, you will still have to file an Australian tax return in consultation with your local tax accountant so they can file the receipt of your foreign rental income appropriately. Now that you know how to buy property in the US, you need to understand what is involved in the legal process of becoming an international landlord. Is it more complicated for a foreign investor from Australia to buy in the US by an attorney, and in our firm we perform all the due diligence prior to signing anything. We also encourage the buyers to perform a home inspection by a licensed party,” Mekhtiyev says. “Most of the time, there is some deficiency with the home, and attorneys can use the inspection report to help renegotiate the purchase price. Once the price is finalised, the seller’s attorney drafts the contract and sends it to the buyer’s attorney for review.” A typical contract includes the purchase price, the condition of the property being sold and bought, financing provisions if any, and a potential closing date (transfer of the deed). Next, attorneys agree on any changes and amendments required, and finalise the agreement. Once a buyer signs the contract and hands over a cheque for the down payment, which is usually 10% of the purchase price, the funds are sent to the seller’s attorney and executed by the seller. “The down payment is held in a specialised account called an escrow account by a seller’s attorney, and the funds cannot be used until the day of the closing. In terms of pricing, you’ll need to be prepared to pay a little more than you’re used to in Australia. The costs vary depending on the location you’re buying in, but as an example, the legal fees associated with a property purchase in New York are “approximately 2% of the purchase price”, Mekhtiyev says. “That includes legal fees, title fees, insuring the title to the property, and searches for judgments and violations against the property. On a property purchase price of $100,000, you would pay $2,000 in legal fees. On a purchase price of $300,000, that could reach $6,000, and a property purchase of half a million dollars would attract a legal bill of around $10,000. No stamp duty and bigger depreciation deductions are just the start of the benefits that New Zealand property investments can deliver. A hop, skip and a jump across the ocean a whole new world of profitable opportunities awaits. Imagine world where buying an investment property doesn’t incur any stamp duty. Zip. Nada. None. Zero. A four-hour flight away, this world exists. 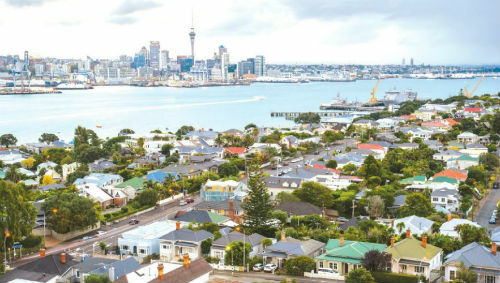 New Zealand is overflowing with real estate opportunities, and Aussie landlords who are turned off by sky-high local prices are starting to reap the rewards. 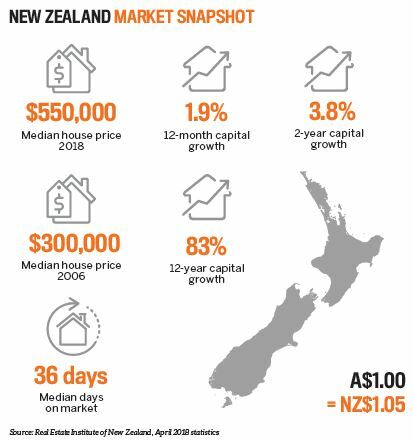 “I’ve been investing in property in Australia for over 20 years, but it’s only recently that I began looking at what’s happening in New Zealand and decided this is a great opportunity,” says investor John Grant. “In the last three months I’ve been over there four times, and I’ve made 11 offers on different properties. The properties Grant has been circling are all priced between $140,000 and $160,000, with returns of around 8–10%. You’d be hard-pressed to find similar opportunities in Australia, particularly ones that had growth potential sewn into the deal. It’s little wonder, then, that so many Aussies are seriously considering making their next investment in New Zealand dollars. “Some investors who are looking to diversify their portfolio or want to buy cheap property look overseas, which can be very different than buying property in Australia,” says Peter Koulizos, chairman of Property Investment Professionals of Australia. 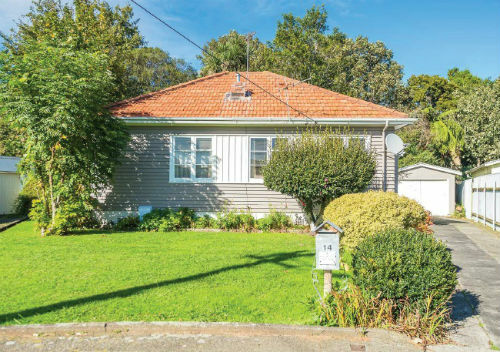 David Palma, an investor who has extensive experience of dealing with New Zealand properties, says there are many advantages to buying property over there – including the fact that it remains relatively easily to get into the market. “As Australians, we are still currently allowed to purchase in New Zealand, unlike the Chinese and various other countries, which are now not allowed to buy there as easily,” he says. “Their banking is very similar to ours, so as Australians we can qualify for loans the same as we do here based on deposit and serviceability. You need to speak to a qualified mortgage broker to apply for a loan, being aware that, as an investor, you would need to put down 35% deposit as a minimum due to current laws.” A 35% deposit may sound steep, but it’s not insurmountable when you consider the local property prices. On a purchase price of $150,000, you’ll sink around $50,000 into the deal as a deposit. But you’ll pay no stamp duty or other taxes on your way into the property, and the high deposit ensures a large buffer of equity against unforeseen market changes. 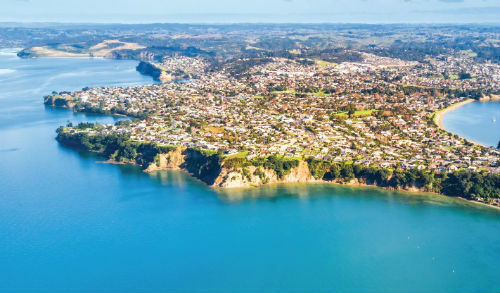 For those who are keen to tap into New Zealand’s property market, the cities boast dozens upon dozens of investment-quality locations. So how can you narrow down your search to the best opportunities? “All the major cities are always on the rise,” says Palma. “Due to investors needing a 35% deposit, a lot of the small towns have gone through a mini boom, driven by investors seeking more affordable deals. 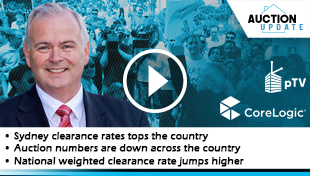 While these price points may seem comparable to Australian property values, it’s the deals to be done in the regional areas that offer the most promise, according to John Grant. He and his wife Trudie have been looking “all around New Zealand, around the price point of $150,000 to $160,000”. “We found a lot of opportunities in Whanganui in the North Island,” he says. “They’re not the most impressive properties in the world, and they often need a little work, but they rent immediately, as is, for $250 per week. I’m handy, so I’m planning to fly back over there and do a few renovations. Once renovated, you can rent them for upwards for $300 per week.” Whanganui’s average asking price rose 12.2%, or $35,700, between December 2016 and December 2017, to reach a new median of $327,500. However, the couple have focused their search on the much more affordable end of the market. They recently secured a threebedroom home in the area for $160,000, slightly more than their initial offer of $150,000. 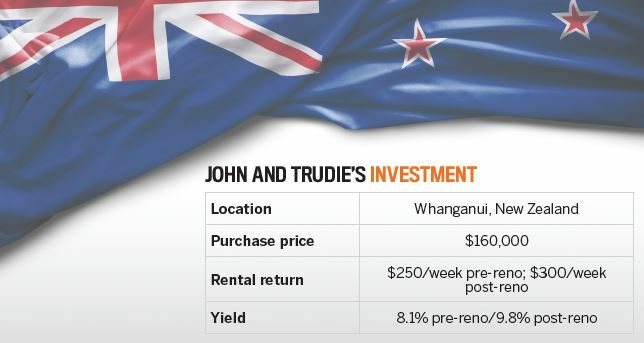 The Brisbane-based couple say they decided to invest in New Zealand due to the high yields and low entry costs, along with the plentiful tax benefits. “There are so many tax advantages to buying property investments in New Zealand. There’s no stamp duty to begin with, which can be a huge upfront saving, and their capital gains tax rules are also quite friendly,” Grant says. “There used to be no capital gains tax at all, but they introduced it a few years ago at 30%. It only applied to properties that were owned for two years or less. Being such close neighbours, Australians and New Zealanders have many harmonious partnerships – and finance is one of them. Well, to a degree. Although New Zealand banks don’t actively seek out Australian borrowers, Mary O’Brien from New Zealand Mortgage Solutions says getting a trans-Tasman loan isn’t impossible. Some buyers may need to source funding for their new investment from an Australian bank, as many New Zealand lenders will point blank refuse to provide finance for non-residents. “We are accredited with 12 New Zealand banks and lenders, and accredited with over 35 Australian lenders … [so we can] create loan solutions for Australian residents and people around the world wanting a New Zealand mortgage,” O’Brien says. 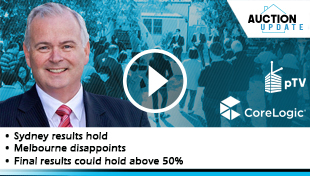 The Reserve Bank of New Zealand recently introduced restrictions on loan-to-value ratios for all New Zealand banks, with maximum lending for investment property being capped at 65% nationwide and at 80% for owner-occupied. “The New Zealand banks already have these policies in place¬– which means no future lending to residents and nonresidents earning foreign income, who are not New Zealand or Australian citizens, and bigger deposits for those who can get a loan,” O’Brien says. Note as well that, before making an offer or seeking finance, you will need to request permission from the Overseas Investment Office before you can invest in New Zealand. Visit www.linz.govt. nz/overseas-investment. One of the many benefits to investing in New Zealand is the fact that its government does not force as many taxes upon an investor. Stamp duty and transfer fees on properties and loans don’t exist, and neither does land tax. Furthermore, New Zealand’s generous 4% depreciation rate is a lot higher than Australia’s 2.5%, giving landlords an even bigger boost to their cash flow. In recent years, one major change to the New Zealand tax code has resulted in the introduction of capital gains tax. If you do not live in the property and sell it within five years of purchase, you may have to pay tax on the capital gain made. According to New Zealand Inland Revenue, the tax you pay depends on the following four factors. 1. Your intent when you purchased. 2. Your history of buying and selling. 3. 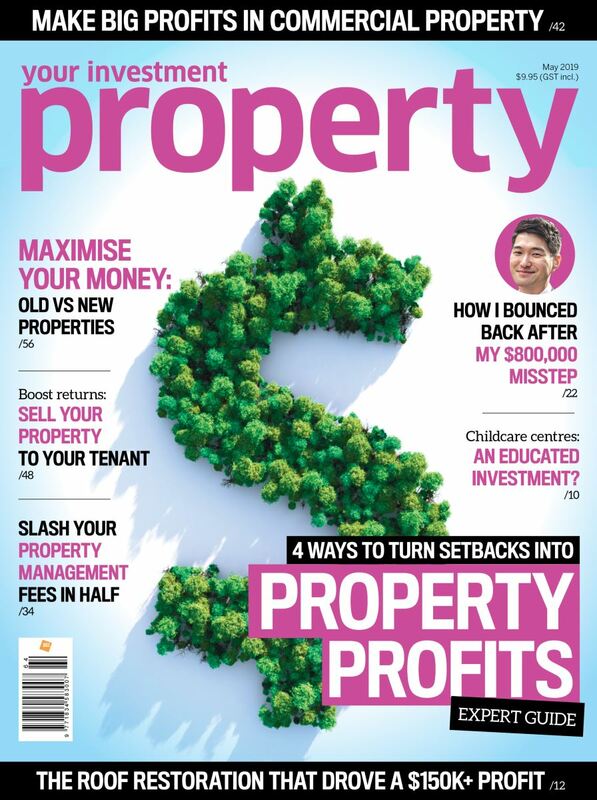 Whether you’re in or associated with the property industry. 4. Whether you buy and sell the property within five years (two years if the property was purchased on or after 1 October 2015, through to 28 March 2018 inclusive). “You need to find an accountant in New Zealand that specialises in property. They will need to set up a corporate trust with you as the trustee and also a bank account with one of the main banks,” says Palma. “When receiving your rental income it is best if it’s simply transferred directly from your property manager to your New Zealand bank account, which all expenses should be set up to come out of. Owning property in a location that is a long way from where you live comes with its own challenges, so it’s important to consider all aspects of the deal before you proceed. “Imagine you own an investment property in a different state and the property needs some repairs. If the property is managed by a competent property manager, it shouldn’t be a problem. They should organise quotes, arrange access to the property for the repairs to be done, and pay the bill on your behalf,” says Peter Koulizos. Slack property laws – Australia’s property and consumer laws are very tight, with parties’ rights and obligations made very clear. The same can’t be said for many countries around the world. Tax – You may need to find an accountant overseas as you are earning income overseas and you may need to pay tax in that country. Different language and culture – The landlordtenant relationship varies markedly around the world. Currency risk – Currency risk is a critical issue. The following example shows how your cash flow could be affected by fluctuating exchange rates. » You must include all rental income from overseas properties in your Australian tax return. » This income should include the full amount of rent and associated payments you receive. 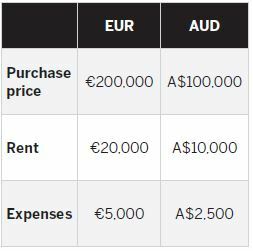 » If you have paid tax in another country on your rental income, you can claim a foreign income tax offset in your Australian tax return. » Special rules apply to the deductibility of rental property expenses that can be claimed against your foreign rental income. “Let’s imagine you own a holiday house overseas, in Europe. The purchase price is €200,000 and the tenant pays €20,000pa in rent. Cash expenses such as property taxes, repairs and property management fees average €5,000pa. Firstly, let’s assume that when you bought the property, A$1 = €1. In the next scenario, assume that the exchange rate adjusts and is now A$1 = €0.50. 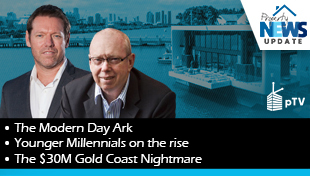 In this scenario, you have to pay double in Australian dollars to buy the property, and your expenses double. On the positive side, your rent doubles. In the next scenario, let’s assume that the exchange rate adjusts the other way, to A$0.50 = €1. 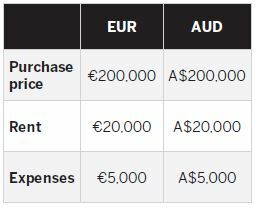 Due to the fluctuation in the exchange rate, you only need to pay half the original price in Australian dollars, and your expenses halve. However, your rent is also halved – and so is the value of your investment. “The best scenario is that you buy when A$0.50 = €1 and sell when A$1 = €0.50. The reality is that, even though you can determine what price you pay for the property and have some influence on the amount of rent paid and expenses incurred, you have absolutely no control over exchange rates,” Koulizos says.